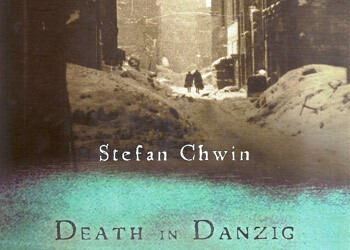 Stefan Chwin’s Death in Danzig is one of the contemporary classics of Polish literature and was translated into English in 2004. Yet it remains largely unknown in the English-speaking world, so I’m taking the liberty of presenting it again. Written in Polish in 1995 under the title Hanemann, the novel tells the story of a German doctor in Danzig who stays behind after the city falls to the Russians, and of the Poles who move into his life. The end of World War II saw the largest human migrations in Europe since the early Middle Ages. Stalin redrew the map, and the Germans were thrown out of East Prussia, Pomerania, and Silesia. The Poles were then thrown out of Lithuania, Belarus, and Ukraine, and shipped to the “recovered” lands in the west of the new Poland. And in addition to this massive forced transplantation of people was the genocide of the Jews, who had made up a significant proportion of the urban population before the war in all of these places. What this meant in the reality of everyday life was that an enormous number of people in Poland were suddenly living in apartments and houses that not long before had been someone else’s, often with the belongings of the previous occupants still left behind. This is a novel that deals with this fundamentally strange situation. Hanemann was a doctor, wealthy enough to have lived in one of the more luxurious districts of Danzig, but despondent enough to not find the strength to leave as the Russian army drew near. In the spring the Polish family of the narrator, fleeing the destruction of Warsaw, come to Gdańsk looking for a new life and choose an apartment in the same building as Hanemann. They are joined by Hanka, a Ukrainian woman, and a homeless, speechless child. There they all live together, refugees of a world destroyed, all scarred in various ways by the war, as post-war communist Gdańsk takes shape around them. Connecting them all tenuously to the past is Hanemann, who remains indifferent to all the changes, until Hanka attempts to commit suicide. This is a novel of things left behind, of the articles of everyday use that surround us. And let it suffice to say that pre-war German stuff is nicer. When the Polish family shows up in the upper middle class enclave where Hanemann lives, their stuff is paltry, and of a definite inferior quality. No, the Germans in Danzig had it good, life was well ordered and rich in beautiful household objects, and you get the feeling that Chwin has enormous respect for their appreciation of material possessions. Each small object is lovingly described, each finely embroidered linen bedsheet is given a life of its own. If there are objects with names you’ve never heard of, that’s not an accident. Chwin is meticulous in naming all the objects that populated a pre-war middle-class apartment. Whether or not one agrees with this apotheosis of pre-war bourgeois life, this is a beautiful novel, wonderfully translated, that gives a view onto one of the most dramatic events of the 20th century.